We are offering Strapping Tapes to our client. We are one of the leading producer of Corded Strapping. - Can replace steel strapping. PBOPP tapes have added a whole new dimension to packaging. The bi axially oriented polypropylene film has superior adhesive, which is applied by the latest state-of-the-art-coating machine. This latest technology, which is carefully formulated and produced to deliver high tackiness, greater holding power and adhesion strength. 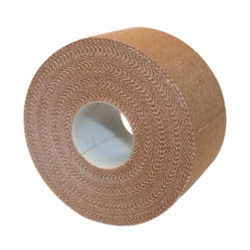 Crystal PP Strapping roll that are widely used in various industrial and commercial sections for binding cartons and bales. We produce both ranges of Machine and Manual strapping in sizes from 12mm to 19mm. We also offer metal clips used for locking manual straps. The PET packing band, known as plastic band, is mainly made of polymer. It’s a latest protecting environment material instead of steel strap and is well used in the steel, chemical, aluminum, papermaking, brick making, nuts, tobacco, electron, textile and wood industry, It has extensively used all over the world. Tesa® 4287 is a Tensilized polypropylene strapping tape with a natural rubber adhesive system. tesa® 4287 exhibits good tensile strength with low elongation at the same time. The applied product is highly heat- and cold resistant. 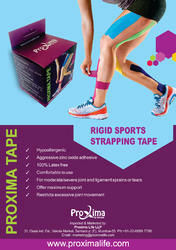 Backed by years of industry experience, we are engaged in offering a premium quality range of PP Box Strapping Tape.